Book your stall before its too late! We would love to have you with us but the Fair is filling up fast! We suggest going to the stall booking pages and making your booking now – there are still good spots available, particularly for crafts and fashion, and community information stalls are always welcome. We are almost at capacity for food stalls though. 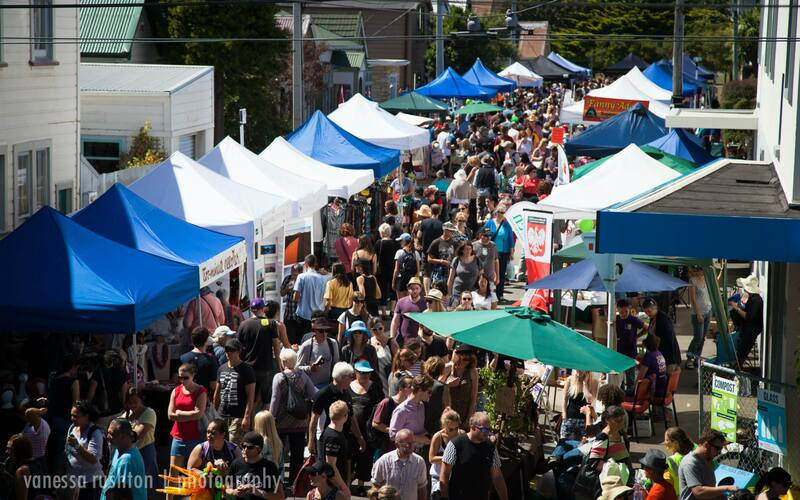 Green Street during the 2015 Fair – a great place for quality handcraft stalls.